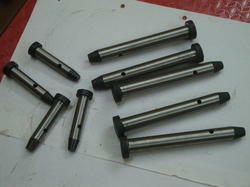 MAST PIN ALL SIZES ALONG WITH SAFETY LOCK PIN VARIOUS SIZES. 3MM TO 6 MM ROD DIA. Looking for Pump Spares for oil Field ?